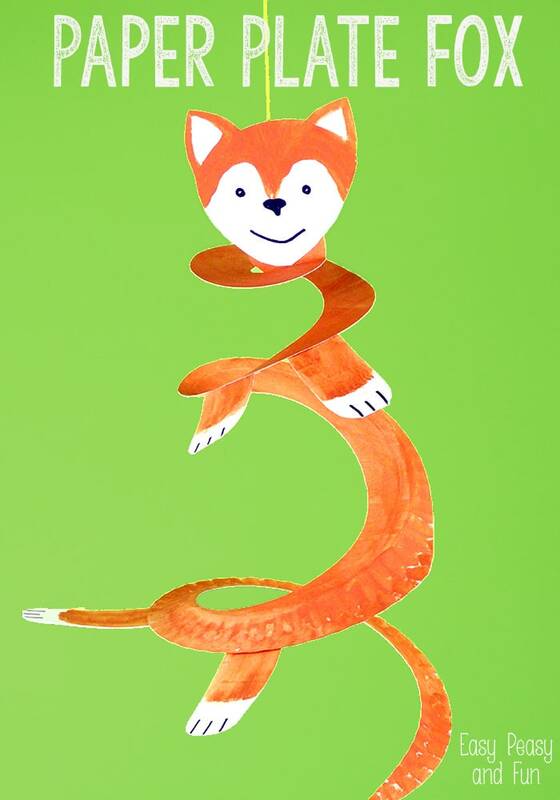 Foxes are believed to be tricky and cunning – but this paper plate fox is just simply cute! 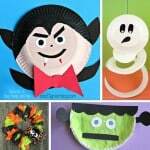 We just love paper plate crafts as they are fun for the whole family! 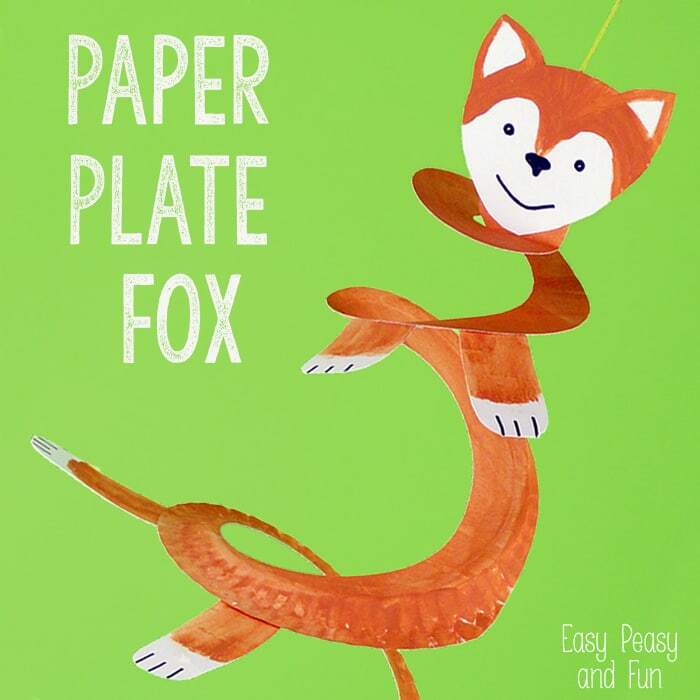 Let’s make a paper plate fox! 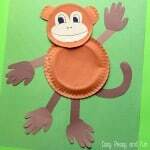 Start by coloring the paper plate brown from both sides. 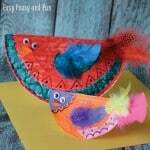 Cut the head shape out of cardboard and draw in and color all the details. Cut 4 legs – we made the front legs a bit shorter than the back ones. Leave (or color) the paws white and use the black marker to draw some claws. 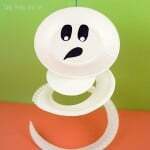 Once the color on the paper plate dries cut it into a spiral. You can color the tip on the outside of the spiral white to get the tip of the foxes tail. 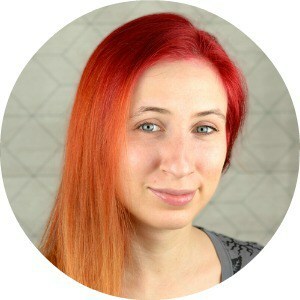 Fold the last/middle spiral upwards (you’ll glue the head here). Glue on the paws and the head. 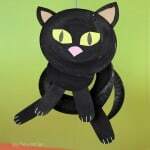 You can also glue the thread in between the head and the spiral or you can use duct tape later on. 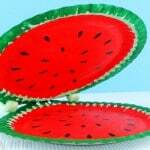 See fun and easy! 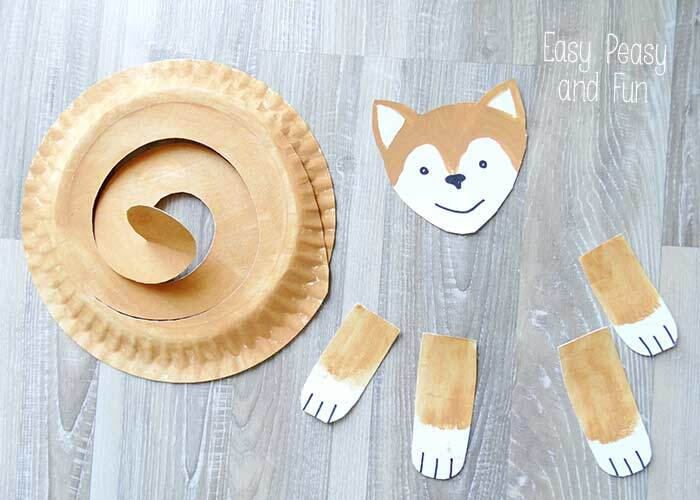 If your kids love dogs you can also pass this one as a Shiba Inu paper plate craft ;).